I’m not a morning person. So when I’m in charge of making breakfast, I like something quick, easy and tasty! 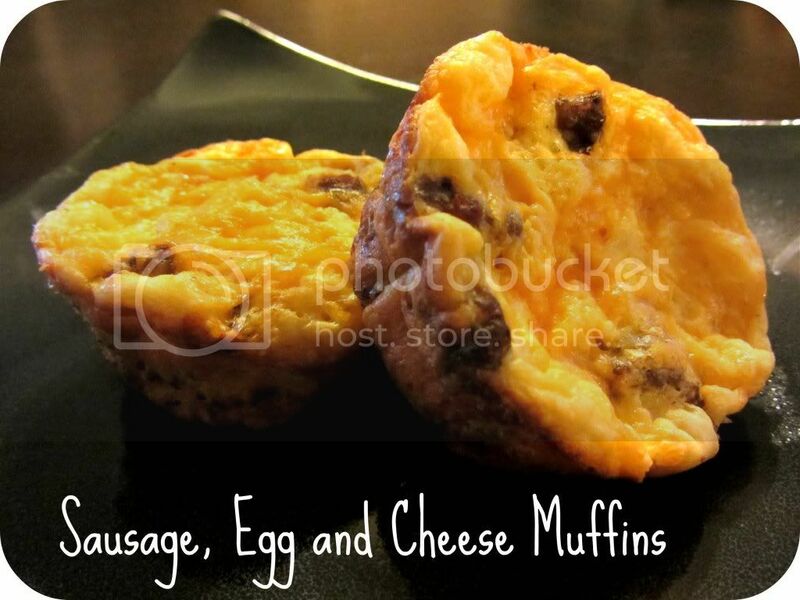 These sausage, egg and cheese breakfast muffins are one of my favorite breakfasts recipes. 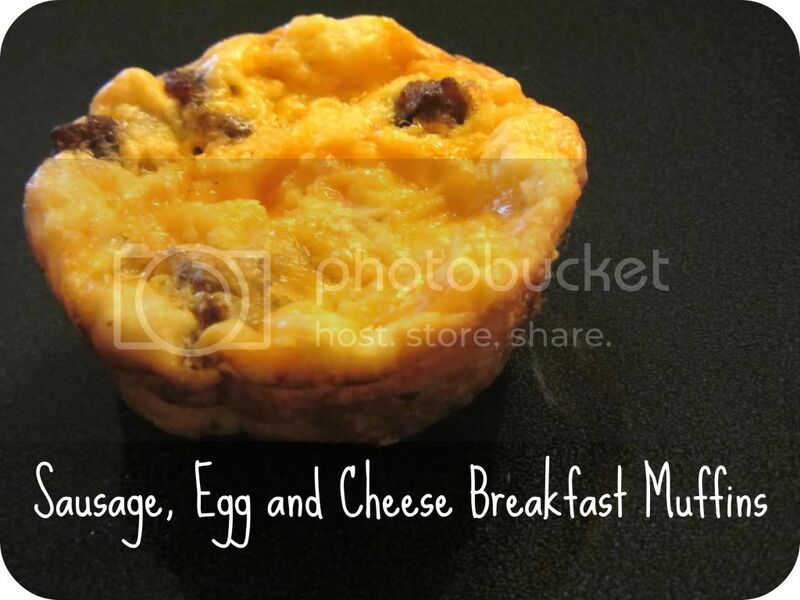 It’s like a mini-omelet in muffin form! I found this recipe years ago in one of my mom’s old cookbooks. With only a few basic ingredients, these muffins are easy to throw together and family friendly too. I hope your family enjoys them as much as mine! Evenly distribute well drained sausage into muffin tins. Mix eggs, Bisquick, half & half, salt and pepper together in separate bowl. Pour liquid mixture evenly over sausage. Bake in 350degree oven for 25 minutes. These muffins are also great for when you’re on the go – we have them a lot during our early morning tailgating adventures on gamedays. I’ve never had any leftovers to try freezing them – I think I’m going to give it a try this week! Let me know what your family thinks of these muffins! Yum! These look delicious and easy! Yum I love good breakfast recipes! Thanks for reading, Crystal! These are so easy to throw together in the morning! Enjoy! My boys would absolutely LOVE this recipe. And they could even make it themselves! Yes! It’s an easy, hands-on recipe! Let me know what they think of it! I was already hungry LOL this made it worse. I’m going to try this for sure! Ha! Sorry to make you more hungry! 🙂 Hope you enjoy these muffins! These look great! Good thought about making it a freezer meal — I’m just venturing into freezer cooking and am looking for some good breakfast recipes. These would be perfect on the run in the mornings. I’m slowly trying to get into freezer meals too! I just need a bigger freezer! It seems like a great time and moneysaver! Oh, I must try these! Do they reheat well? this looks yummy. i pinned it! I looked everywhere for these!! I feel like the recipei used was in a kids cookbook I had years ago. So easy and delish!! Can’t wait to make them 🙂 THANKS!! I just made these for our work week breakfast! I lightened them up to suit our lifestyle (egg beaters, turkey sausage, skim milk w/greek yogurt instead of half and half, and half the cheese.) and they look and smell amazing. thanks! I love all your great ideas to make them healthier – especially the greek yogurt! Great idea! Thanks for letting me know about the pinning troubles, I’ll look into it! Perfect for my breakfast potluck at work!!!! My kids loved these. However, they were really hard to get out of the muffin tin even with the grease from the sausage and rhe cheese. I’m going to try them again and spray the cups really well so that hopefully they’ll come out easier. I made these a few weeks ago and am making them again tonight! Like everybody…I add a few favorite things….like sauteed mushrooms, shallots and a little green onion. These are perfect for breakfast with fresh fruit and the same for dinner! They heat up great in the microwave for next-day munching! Thank you Carrie! I’m so glad to hear that you love these easy muffins! I always make extra to heat up in the microwave too! These were great with sausage. Now I’m going to try them with bacon and ham. Can you use whole milk instead of half and half? If so will it taste the same? Could you use whole milk instead? Also does the sausage have to be pre-cooked or raw? After you freeze how many seconds or mins do you reheat them?